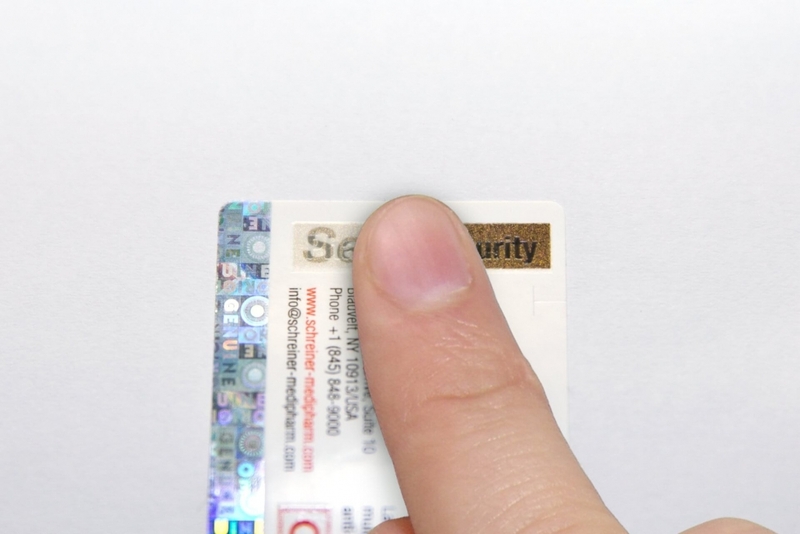 Thermochromatic inks are semi-covert counterfeit protection features, which means that they are not discernible at first glance. 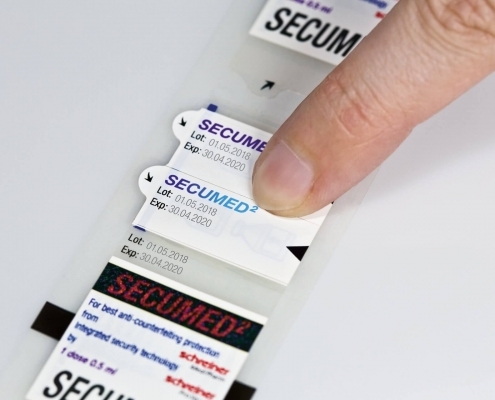 Whereas healthcare staff or patients are typically unable to detect the security feature informed persons can easily and unequivocally identify it without requiring additional aids. The reason is that only the respective pharmaceutical manufacturer and the select group of individuals intended to verify the feature know the exact details of the markings. 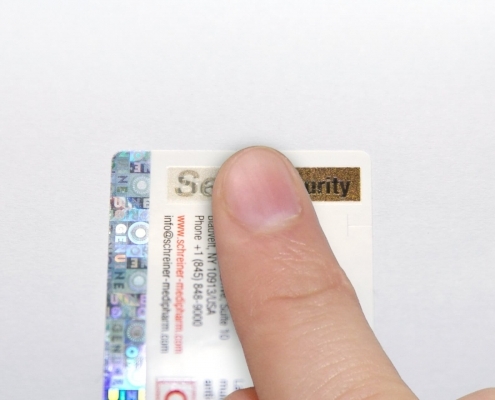 A thermochromatic ink consists of one or several special functional layers printed on top of each other that reversibly change their color when temperatures change. When the temperature increases, the printed layer becomes brighter or even transparent; when the temperature drops, the layer gradually turns darker or even black. These color shifts can be achieved by mechanically generated heat like simply rubbing the surface with a finger or, for example, by using a cold spray on the defined area to reduce the temperature. 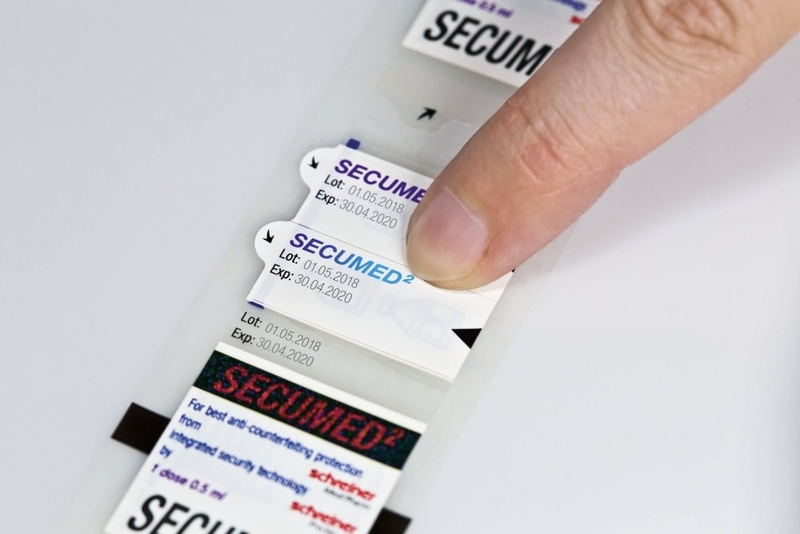 The security feature is particularly effective when a printed text is concealed underneath a thermochromatic layer and only becomes visible when a respective temperature change occurs. In combination with color-shifting inks, thermochromatic inks offer a particularly high level of counterfeit protection. The technology is constantly developed further and now also available in the form of BPA (bisphenol-A)-free inks. 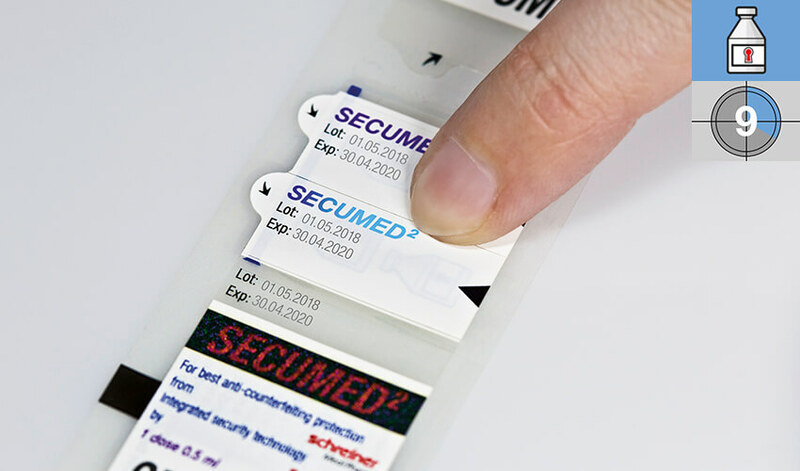 Thermochromatic inks can be individually adjusted in terms of their temperature range and color spectrum, inconspicuously integrated into the label design and normally do not require special approvals – thus being a particularly clever, fast and cost-efficient solution for authenticating medicines.